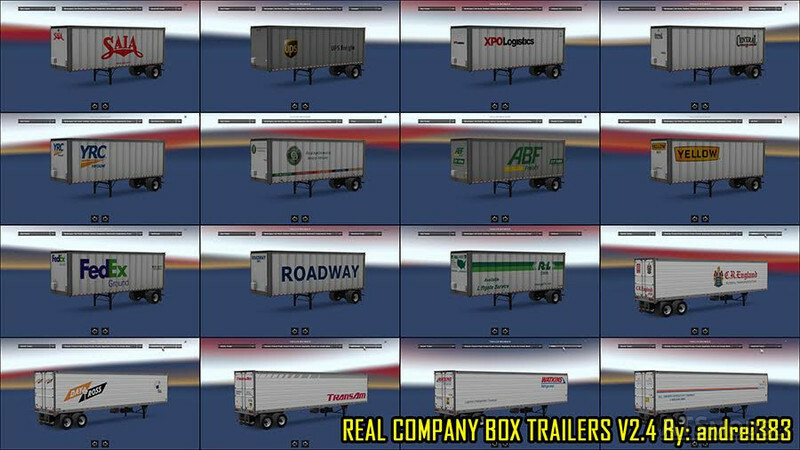 - Adds additional cargo to the Appropriate trailers and all the trailers to AI traffic. 1. Due to the new paintjob system Introduced in ATS 1.4, the rear of the 20/53 ft. Dry Van and 40/53 ft. Reefer trailers 3000R use the same texture. 2. 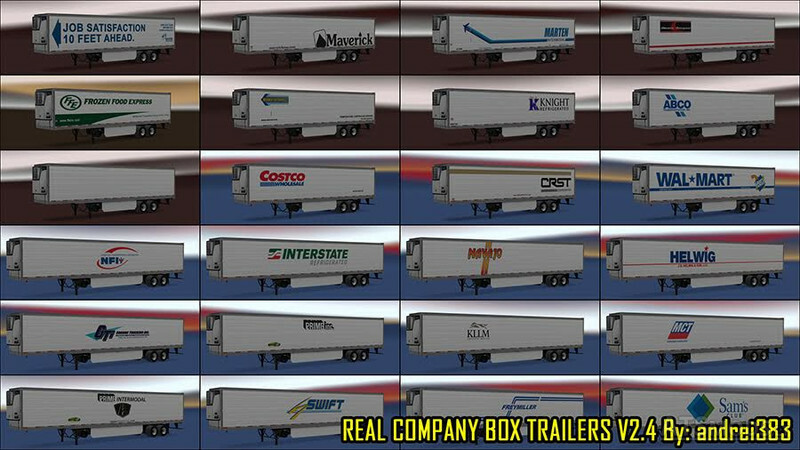 Due to the mapping of the 53 ft. Reefer trailer 3000R, the decal placements may not be Exactly the same as the real trailer. 2. 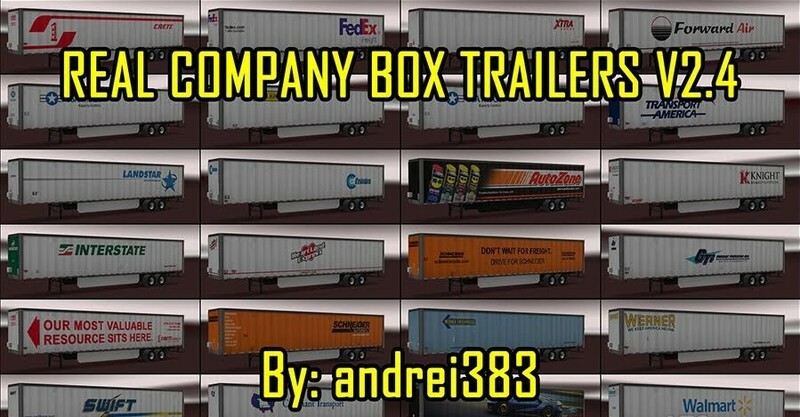 Copy the "Real_Company_Box_Trailers_andrei383.scs" file into your American Truck Simulator mod folder. 4. Increase the priority of the mod so did it has higher priority than other trailer mods.